I’m a great advocate for competition kettlebells, even when not used for Kettlebell Sport. That said, I’ll provide as much information about the different kettlebells available, so you can make your own decision. If you’re just starting out with kettlebell training, you’ll want to start with something light, so that you can focus on form and technique. Starting out with a weight that is too heavy will compromise your form and technique, and potentially cause injury. 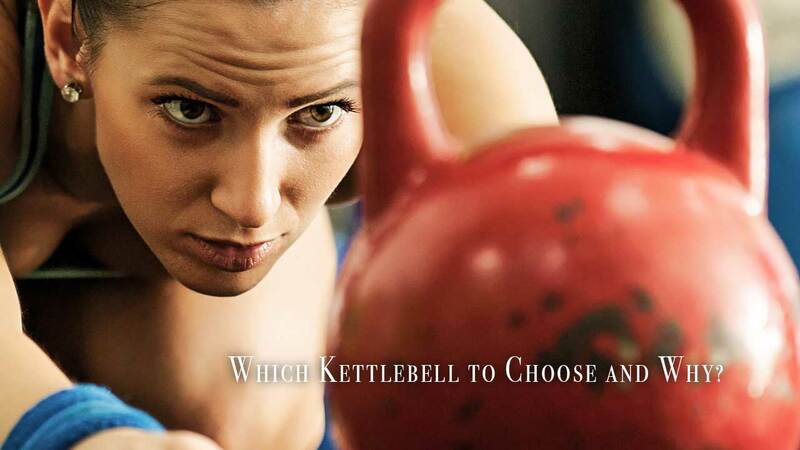 Classic Kettlebells are less expensive than the Competition Kettlebells. As mentioned earlier, my preference is the Competition Kettlebell and the reason for that is the competition kettlebell remains the same size, no matter what weight you work with; whether it’s an 8kg or 24kg, the size of the kettlebell remains the same. This is a great feature, because there is no need to get used to different shapes and sizes when you go up in weight. Furthermore, the base of the comp kettlebell is a lot wider, allowing you to do things like burpee deadlifts, renegade rows, and other exercises where you need to place your weight on the kettlebell – a narrow base has the potential for the bell to topple over and cause wrist injury. I personally find it difficult to find comfortable positions with the classic kettlebells, especially the lighter weight. Rubber, neoprene, and vinyl coated kettlebells are more suitable for surfaces that scratch or chip easy. Vinyl is harder and more resistant to damage than rubber. Neoprene is softer than both rubber and vinyl, which increases comfort. All that said, I’ve not had good experience with these type of coated kettlebells myself. There are also weights in between (for example, 10 kg, 14 kg, and so on), and these are usually coloured with a different shade of the neighbouring weight, or defined by a black band on the handle. The weight you choose for training depends on your goals and what exercises you will primarily be doing with it, in addition to your current strength. If we’re talking primarily about double-arm swings done by absolute beginners, I’d suggest 8kg or less for children, 10kg to 12kg for adolescents, 12kg for women, and 14 to 16kg for men. For overhead pressing, I suggest at least 4 to 6kg less than mentioned for the swings above. For chest pressing, 2 to 4kg less, as most people are stronger with chest presses compared to overhead presses. For rowing with the focus being on the rear deltoids, I suggest the same weight as for swings or even slightly more weight. For rows that focus more on the middle of the back, I suggest the same weight as for overhead presses. For deadlifts, squat style, I suggest the same as swings or more, and possibly even double kettlebells. For deadlifts hip hinge, I recommend the same as swings or slightly less. That covers the basic exercises. If you’re talking about any other exercise, you’ve already progressed and are more than likely able to make an informed decision on what weight to use. Out of the many places to buy kettlebells online, you’ll see the following names and brands pop up the most: Amazon, Onnit, Agatsu, Ader, Kettlebells USA, Kettlebell Kings, DragonDoor Kettlebells.